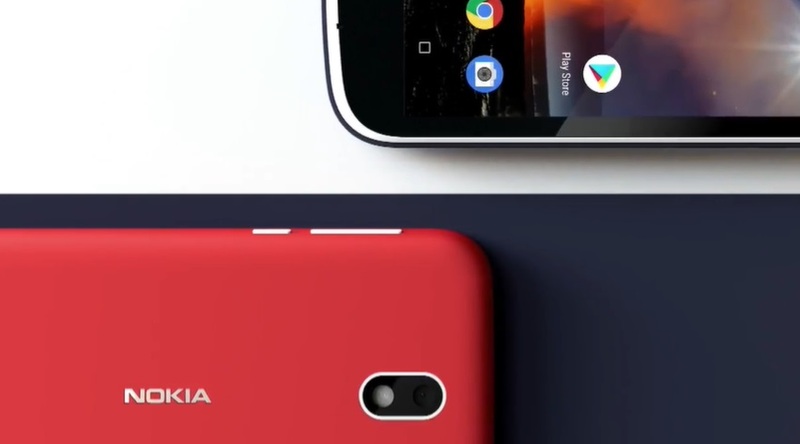 HMD’s first Android Go, the Nokia 1 was announced today at MWC 2018 in Barcelona. The Nokia 1 runs the “lite” version of Android Oreo, optimized for devices with 512MB and 1GB of RAM. Nokia 1’s design resembles a lot of previous designs Nokia used. I, personally, see similarities with the 808 PureView, Nokia Lumia 610 and Lumia 620. As there are 1.3 billion feature phone users on the planet, the Nokia 1 comes as a great device as an entry level smartphone. The Android GO secures solid performance, while the Nokia brand should stay true to its build-quality reputation. The device also supports Xpress-On covers, meaning a lot of personalization options for the users. 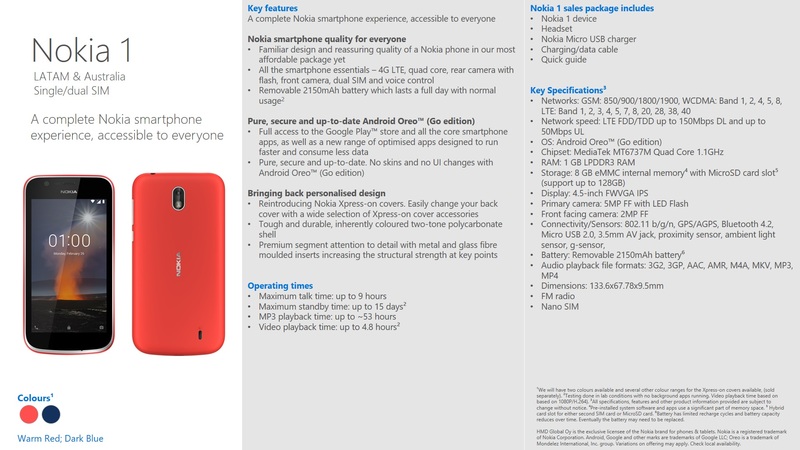 Nokia 1 will be available in April for a retail price of 89 dollars or €72 in some key markets. 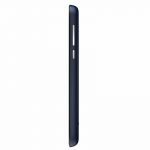 Barcelona, Spain, 25 February 2018 – HMD Global, the home of Nokia phones, today announced the Nokia 1, a breakthrough in accessible technology, delivering smartphone essentials, refreshingly familiar design and the reassuring quality of a Nokia phone to fans around the world. Running the latest Android Oreo™ (Go edition), a version of Android for devices with 1GB RAM or less[i], the Nokia 1 delivers extraordinary value with an exceptional experience encompassing all the features you’d expect from a quality smartphone. The Nokia 1 is the champion of giving more people access to technology. With the reassuring quality and design expected of a Nokia smartphone, it keeps you connected with all your smartphone essentials and apps. 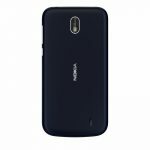 With a quad-core processor, front and rear cameras, 4G connectivity and dual SIM, the Nokia 1 elevates everything you love about feature phones in an accessible smartphone package. Combining a removable 2150 mAh battery and power-efficient IPS display, its hardware works with the optimised apps so you can make the most out of each charge. 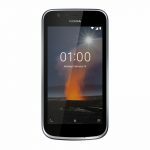 The Nokia 1 brings a refreshingly familiar Nokia phone design featuring the iconic ‘Nokia smile’ in a fresh new package. 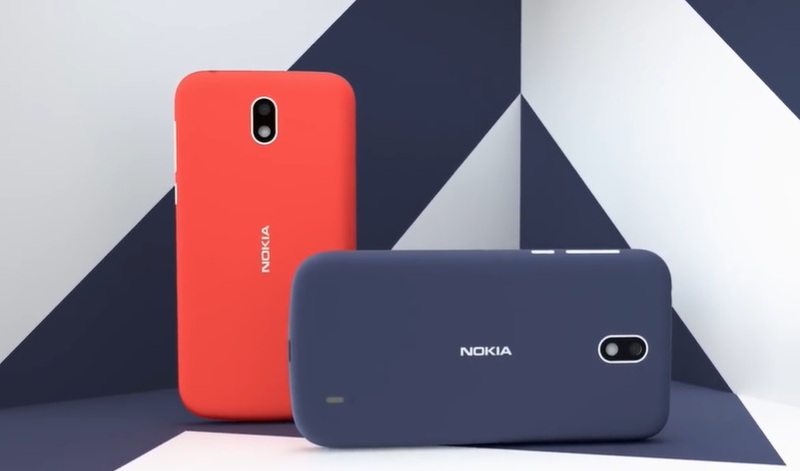 Available globally in Warm Red and Dark Blue, you can also give your Nokia 1 a makeover thanks to the Xpress-on covers which come in a range of vibrant colours. Designed with the same attention to detail as the phone’s original cover, simply click on and off in seconds to express your personal style with these exchangeable covers. Inherently coloured, the tough two-tone polycarbonate cover is ready to take on every day knocks and bumps with its durable design. Tailored to devices with 1GB RAM or less, Android Oreo™ (Go edition) comes with a new range of apps from Google designed to run faster while consuming less data. Optimised to be smooth and fast, these include Google Go – a web search app, Google Maps™ Go, YouTube™ Go and Google Assistant for Android (Go edition), to quickly send messages, make calls, set alarms and do more, simply by using your voice. With fewer pre-installed and much lighter apps on Android Oreo™ (Go edition), you get 2x more available storage out of the box compared with Android Nougat[ii]. All Nokia smartphones come with no bloatware, skins, UI changes or unnecessary apps pre-loaded onto your phone, giving you a pure Android experience. Android Oreo™ (Go edition) offers a smooth and responsive experience, while making sure your device gets the latest security updates and features, including Google Play Protect, which continuously works to keep your device, data and apps safe. 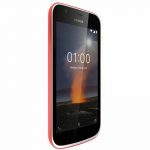 The Nokia 1 is available globally in Warm Red and Dark Blue, as well as pastel colours in some markets, for a global average retail price of $89. Xpress-on covers, sold separately, are available from $7.99 in Azure, Grey, Yellow and Pink.